But there are many reasons to visit the city of white roads. 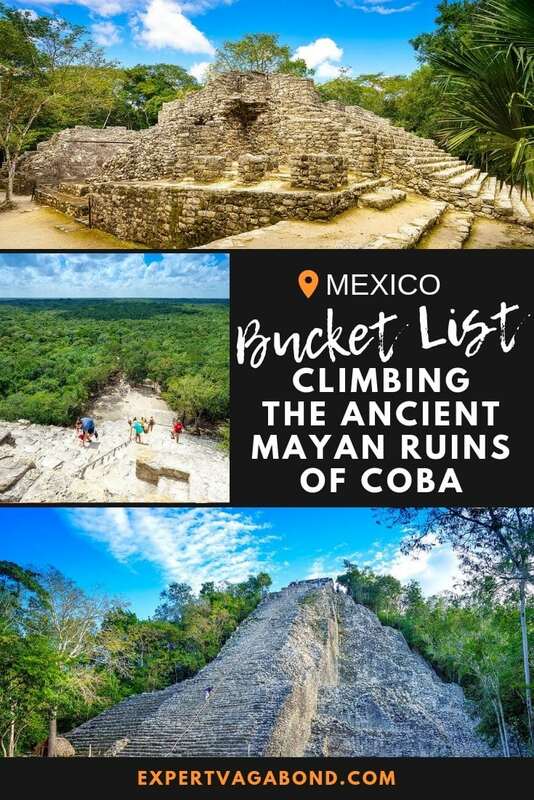 Because Coba doesn’t see as much tourism as places like Chichen Itza or the ruins of Tulum, so you can actually still climb some of the structures for a totally different and unique perspective. 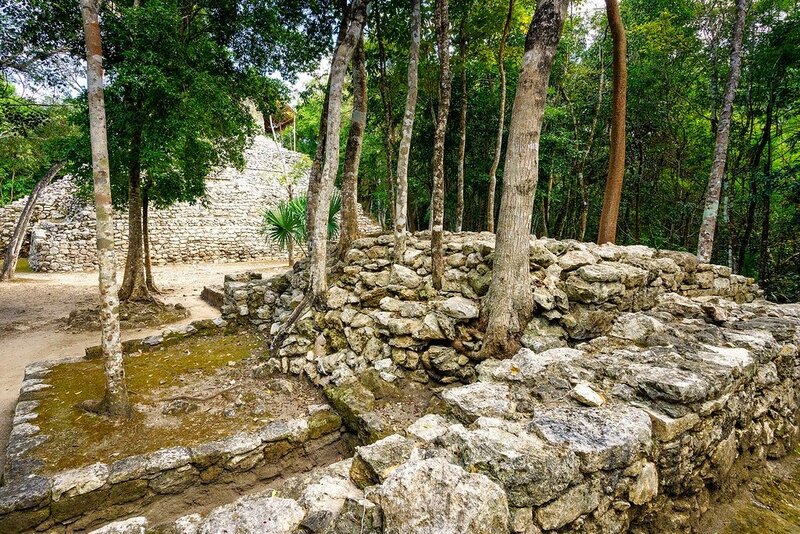 One of my favorite reasons to visit Coba is that it isn’t as excavated as other sites, so you feel like you’re wandering through a forest, with many structures still covered in trees. Specific rules differ depending on the time period, but basically players attempted to bounce a heavy rubber ball through stone rings using their hips. Sometimes the captain of the winning team was ritually sacrificed to the gods. 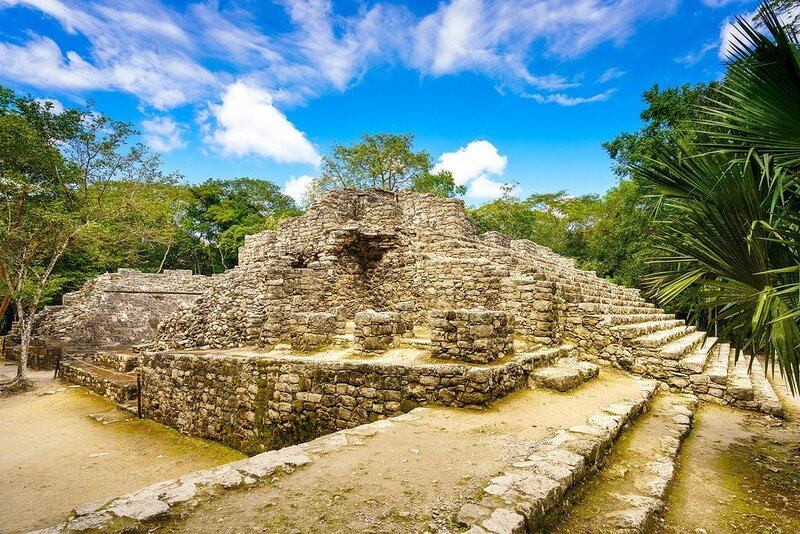 The Mayan City of Coba was first inhabited around 100 AD and was eventually abandoned when the Spanish conquered the peninsula around 1550 AD. 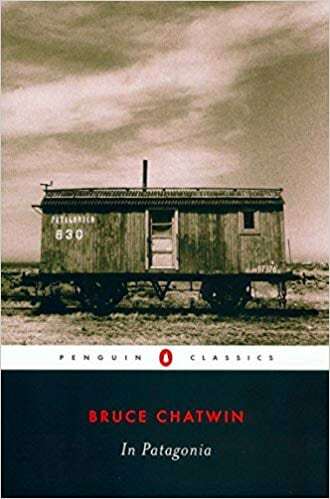 However, the city was once the most powerful in the region, controlling farmland, trading routes, and important water sources. 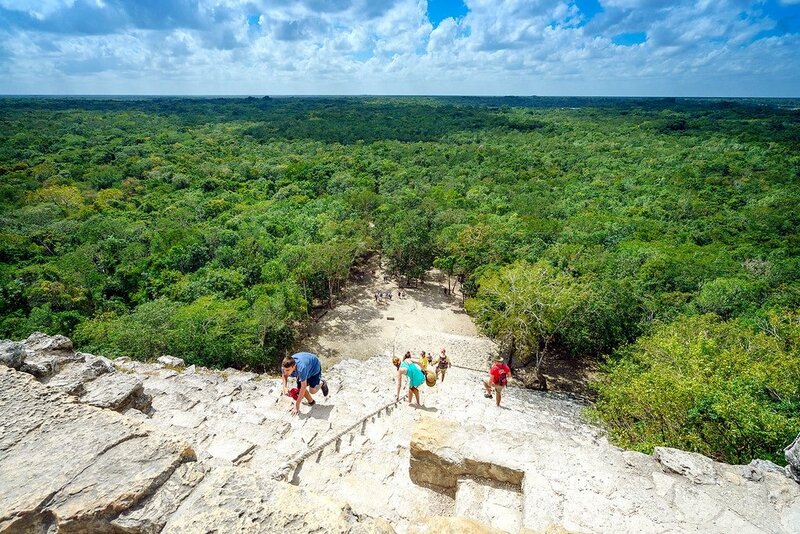 Speaking of water sources, no visit to Coba would be complete without taking a dip in the refreshing limestone cenotes nearby. 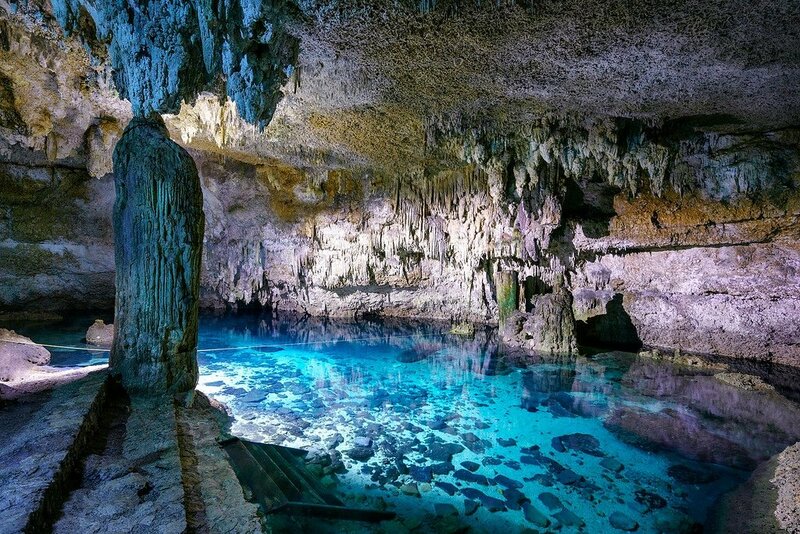 Cenotes are underground sinkholes filled with fresh water, found all over and known as the best ruins in Yucatan. Cenote Choo-Ha is a shallow water cenote with crystal blue water and many stalagmites hanging from the ceiling. My personal favorite of the three. 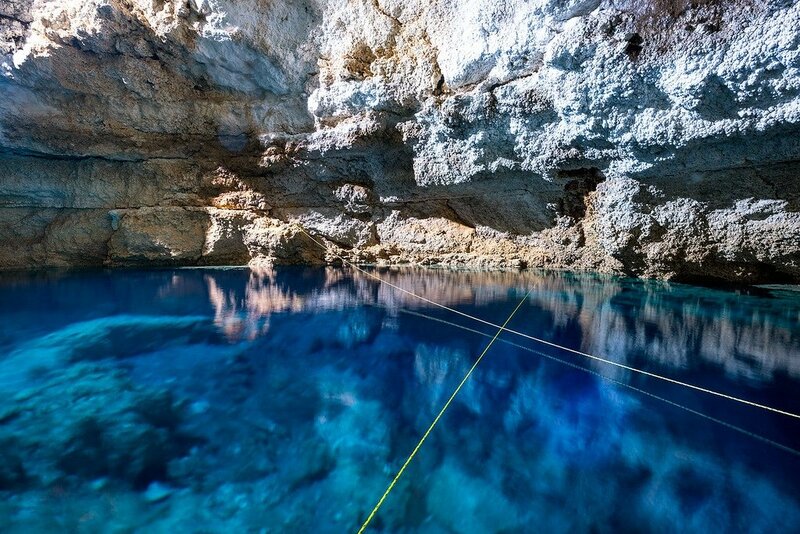 Cenote Tamcach-Ha is a deep underground cavern with two fun jumping platforms at 5 & 10 meters (15 & 30 feet) high. 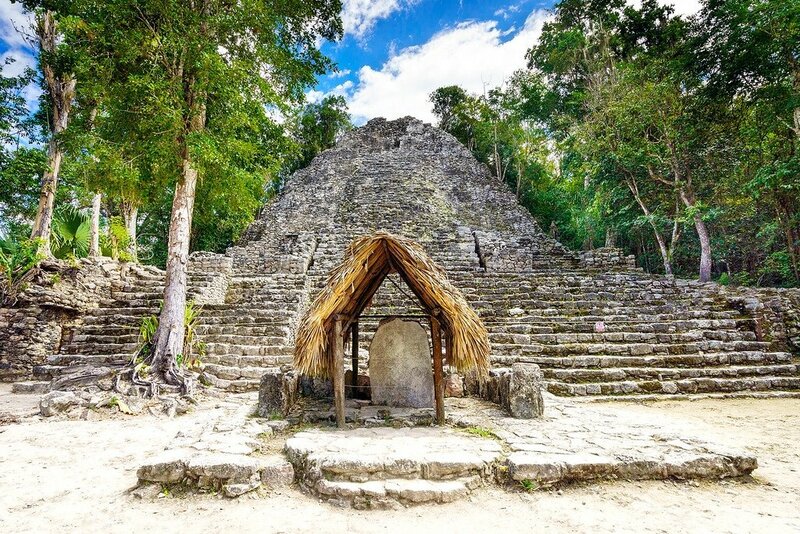 Cenote Multun-Ha is a bit further away in the jungle and boasts a large wooden deck. 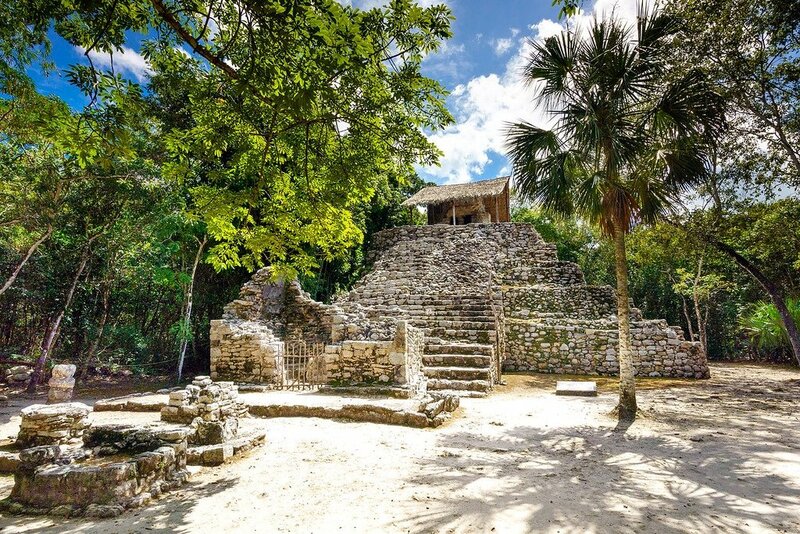 While there are a few hotels around Coba itself, most people base themselves in the larger towns of Tulum, Playa del Carmen, or Valladolid. 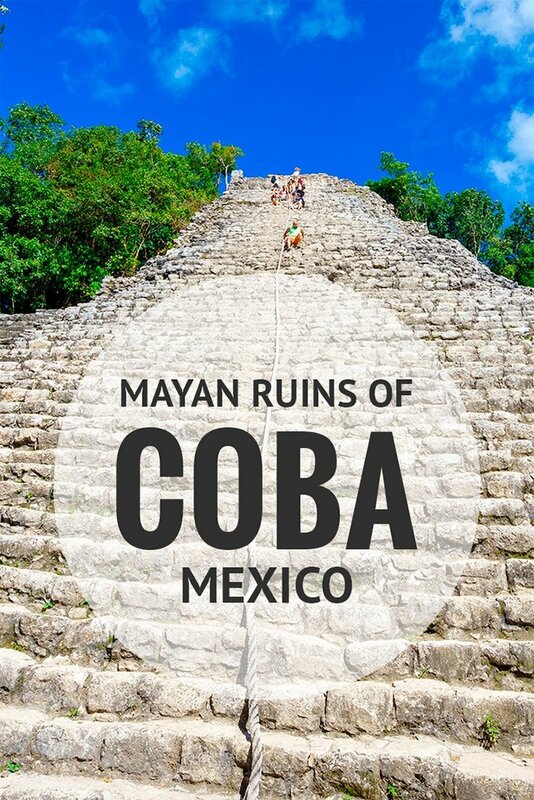 Tulum is the closest, only about 40 minutes away from Coba. Relaxing backpacker hostel with cheap bike rentals. Between town and beach. 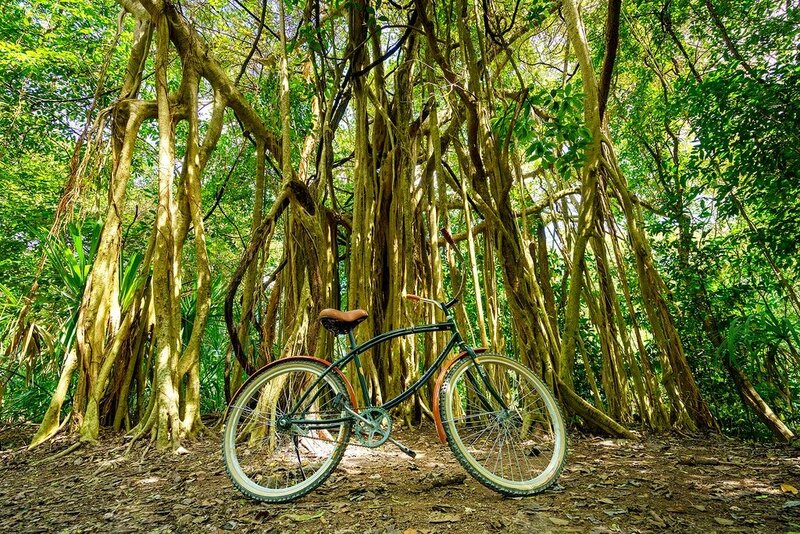 Located in town with free bike rentals and easy access to the ruins. Fun place right on the beach! 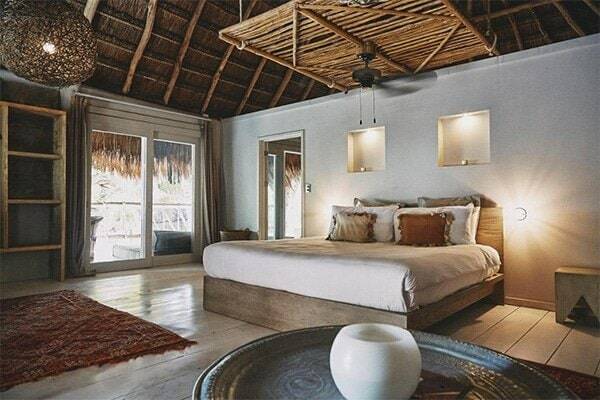 Basic, but great value for Tulum. 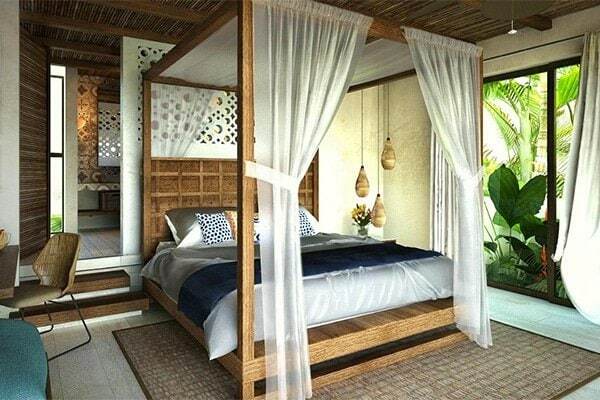 Beautiful eco-resort right on the beach. Romantic place for couples. 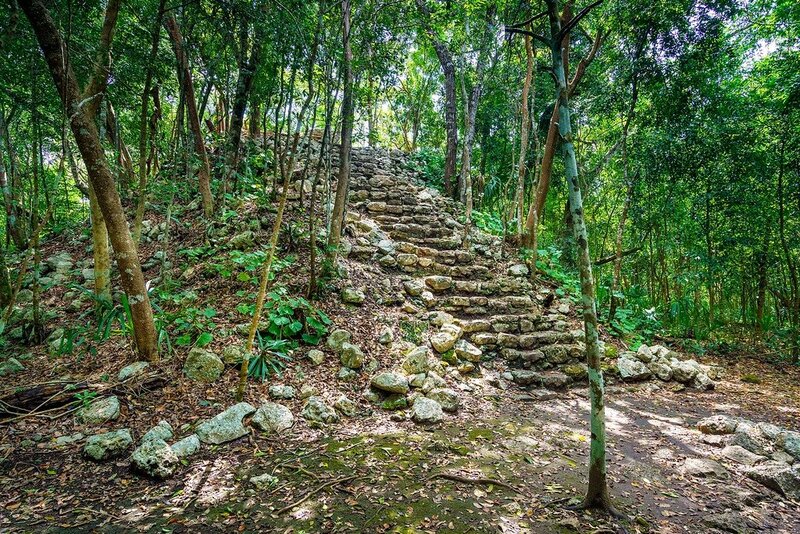 The ruins of Coba are about 44 kilometers (45 minutes) from Tulum, or 109 kilometers (90 minutes) from Playa del Carmen. 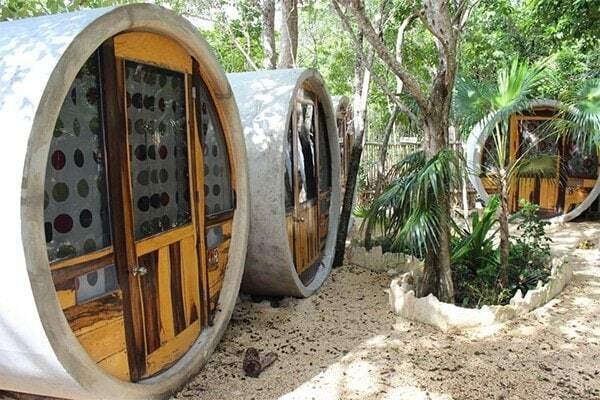 You can get to the site via ADO Bus from Cancun, Playa del Carmen, or Tulum. Colectivos (taxi vans) are also an option, however you’ll have to change vans in Tulum. 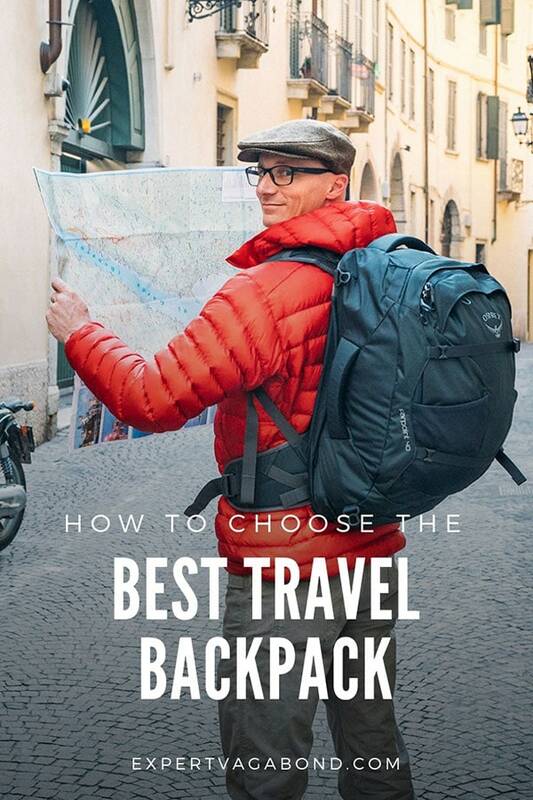 Hire a local guide to explain the history, or just wander on your own. It’s also possible (and recommended) to rent an old bicycle for 45 pesos to get around the site. Bring plenty of water to stay hydrated! I’m a big fan of this eco-friendly filtered water bottle. Visit early morning or late afternoon to avoid the crowds. 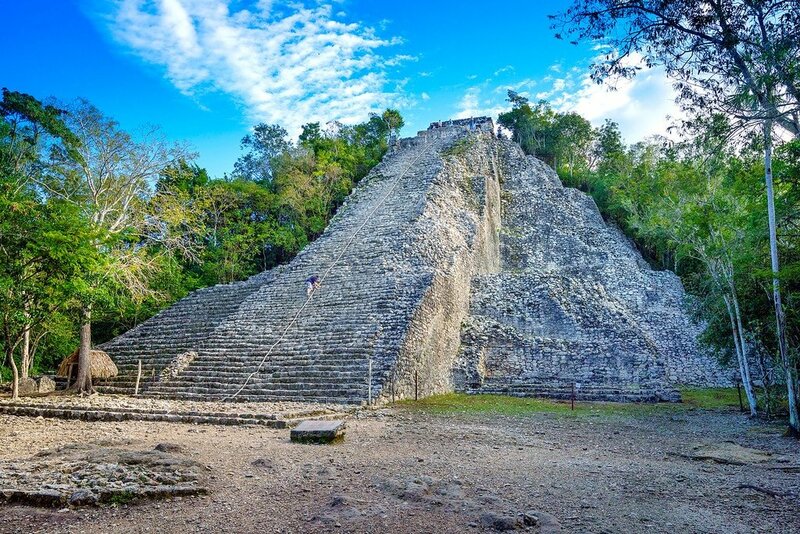 While Coba isn’t as popular as Chichen Itza or Tulum, it can still get busy. 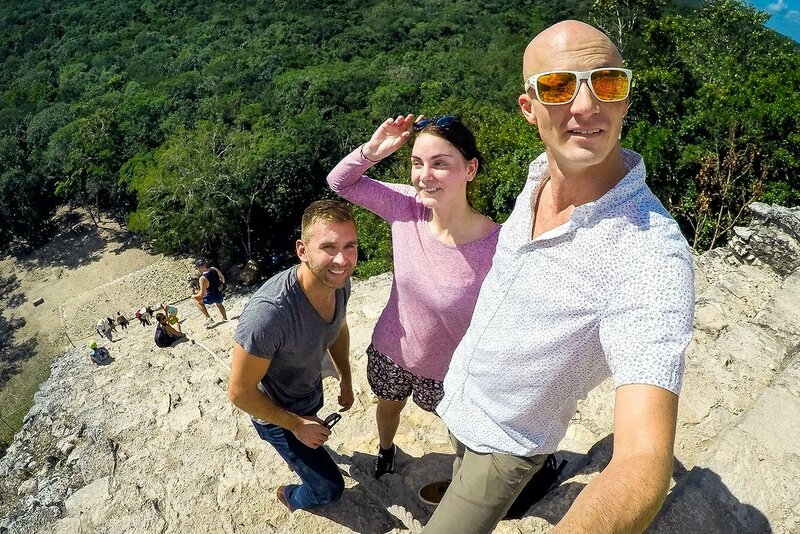 Have any questions about the Mayan ruins of Coba? What about other suggestions? Drop me a message in the comments below!